Park City is a hot spot for mountain bike enthusiasts with over 400 miles of maintained trails. But the fun does not have to stop when the snow flies. Fat tire biking has become an ever popular way for guests to experience the beautiful landscape of Park City all year long. But how do you get started? Where can you rent a fat tire bike? What should you bring on the ride? Don’t sweat it; we’ve got you covered. While the oversized tires create a smooth pedaling experience you’ll be working up a sweat, so you want to avoid clothing made of cotton and opt for synthetic materials that will wick the moisture from your skin to help you regulate your temperature. SHOES: When biking in the snow, it’s imperative to keep your feet warm and dry. A good pair of water-resistant hiking shoes or boots should do the trick. Make sure to wear a pair of merino wool or synthetic socks to wick moisture from your feet and keep them warm. JACKETS: Start with a synthetic base layer to wick moisture from your skin. Choose a jacket water resistant and breathable jacket to block the wind and moisture while you ride. WIND RESISTANT PANTS: Snow pants are usually too bulky to wear while biking. Pants used for cross-country skiing which are light-weight and wind-resistant work best. BEANY OR HEADBAND: You’ll be wearing a helmet, but that doesn’t mean your ears won’t get cold. Bring a beany or a headband to wear underneath your helmet to protect your ears. GLOVES: Mid- to light-weight gloves allow for the finger dexterity to operate the bike safely. ROUND VALLEY: Access a network of designated bike/snowshoe trails from Quinn&apos;s Junction trailhead. 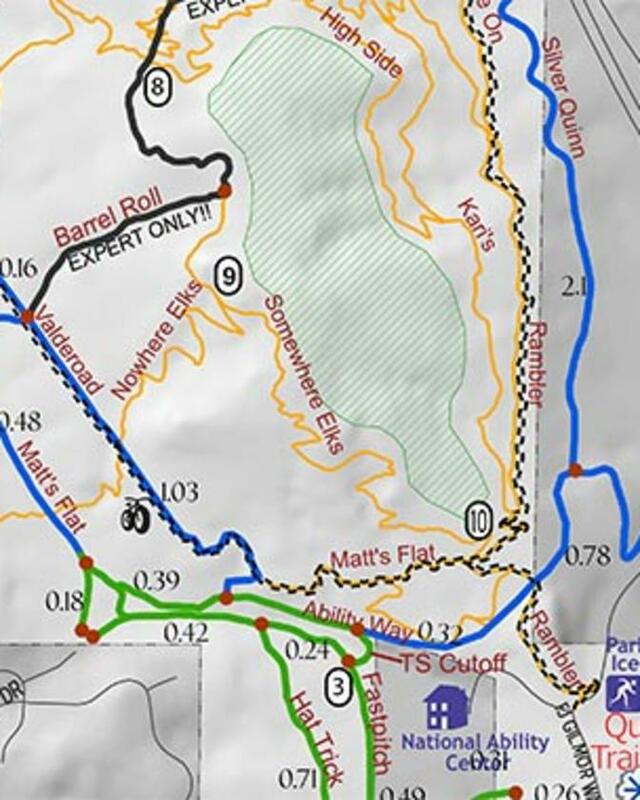 Use the winter trail map to see how you can create loops of varying lengths and difficulty. MCLEOD & WILLOW CREEK: You may access the 12k of trails be parking at Willow Creek Park or the Basin Recreation Fieldhouse in Kimball Junction. The out-and-back trail runs along the Swaner Nature Preserve, through neighborhoods, and out to the Historic McPolin Farm. Please make sure to avoid riding over the classic nordic ski tracks along this trail. View the full trail map here. HISTORIC RAIL TRAIL: Six miles of this historic 26 mile trail are groomed in the winter months connecting the heart of Park City with the Round Valley trail system. Pick up a bike and hit the start of the trail from White Pine Touring Center. GLENWILD: In 2016 Storm Cycles started grooming a 10.5 mile loop for fat tire bikes. Park at the Spring Creek trailhead off of Glenwild Drive. Storm Cycles updates the trail conditions via their Facebook page. The Park City First Timers series was such a blast this summer that we had no choice but to bring it back. This time, we’re highlighting six unique winter adventures in Park City, Utah. 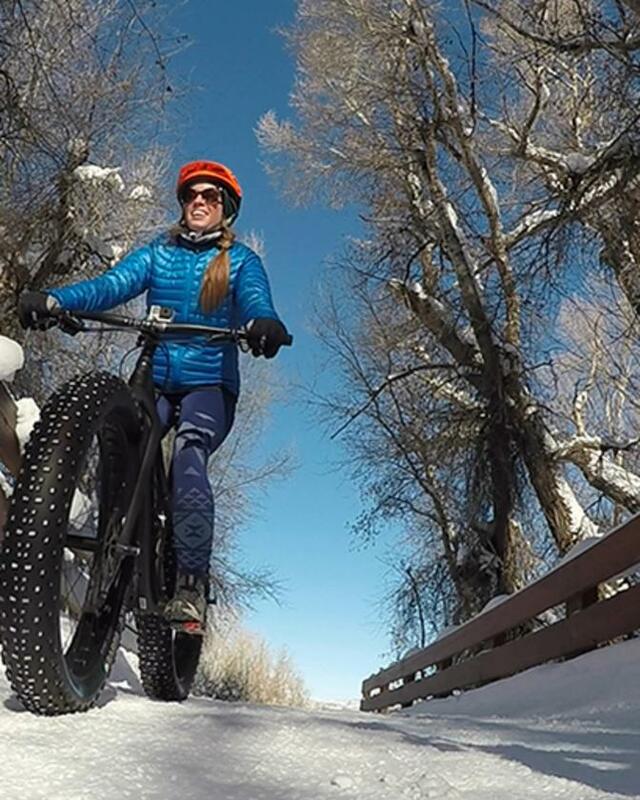 In our first winter episode, our host, Makena, gives fat tire biking a try. She starts by meeting with our friends at Storm Cycles to get the lowdown on fat tire bikes, how they differ from standard mountain bikes, and how they handle in the snow. Check out the latest grooming report and trail conditions in from Mountain Trails Foundation.